Get through drought with minimum discomfort. Lunar and AquaSmart soil treatments and top dressing have great benefits for your lawn and will help make it drought-tolerant, if not down-right resistant. Even with recent rainfall amounts, we are still in the midst of a drought. It doesn’t help that we have about 150 new people moving to the Austin area every day. They are competing for slim water resources. Our situation is difficult, but not dire especially not with some specialized lawn treatments. You can still have a healthy lawn despite Level 2 water restrictions. Emerald Lawns knows what it takes to keep a lawn healthy, despite the difficulties. Not only do we use slow-release, organic fertilizers that help with drought tolerance and recovery, but we have specialized products and treatments to keep your lawn in tip-top shape. Lunar is a product that increases water efficiency by up to 50% on turf treated with it. Applications of Lunar surfactant will maximize your water usage. We suggest three applications between now and October because the product lasts between 35-40 days. The application is safe for you and your lawn. AquaSmart is another product we recommend to help improve drought tolerance and keep your water where it belongs … on your lawn. AquaSmart, in conjunction with top dressing, a process involving putting compost on the surface of your lawn to bring nutrient-rich organic material to the lawn which causes it to green up quickly, will help keep your lawn in excellent condition. Topdressing promotes a healthy root and soil structure by infusing the soil with good microbes and essential minerals. This increases soil aeration, improves drought resistance and relieves compaction problems. AquaSmart is a unique moisture and nutrient-management product. It’s designed to improve the effectiveness of every irrigation cycle. It’s biodegradable and non-toxic super absorbent sand is used in conjunction with annual topdressing and aeration. Combined together with these processes, AquaSmart increases the moisture holding capacity of your soil by an additional 60 gallons of water per 1,000 square feet. AquaSmart decreases runoff and releases moisture and nutrients to your root zone as needed. This occurs long after the surface has dried. AquaSmart lasts five years with only a marginal reduction in effectiveness year after year. 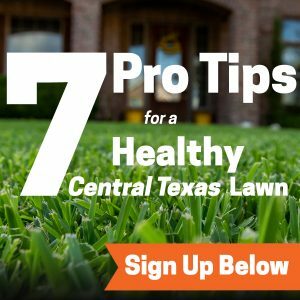 Give Emerald Lawns a call 512-990-2199 if you’d like to learn more and schedule a treatment.